Argentinean aircraft company Fábrica Argentina de Aviones “Brig. 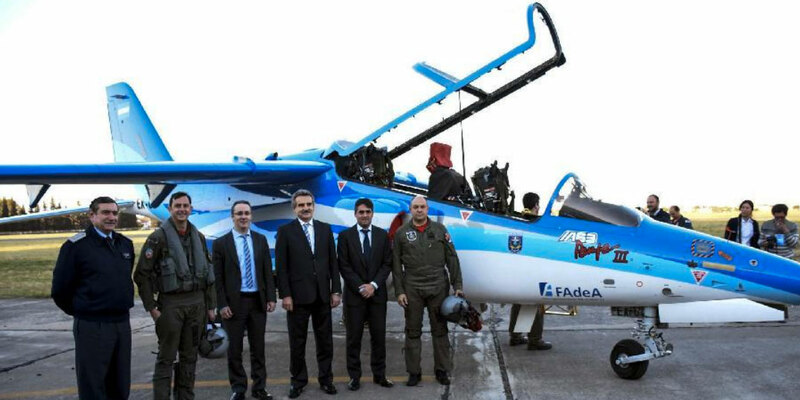 San Martin”—better known as FAdeA—received a boost for its new Pampa III advanced trainer late last week when the country’s Cabinet of Ministers finally approved a contract to acquire three of the aircraft for $30.3 million. As well as the aircraft, FAdeA will provide two mobile mission-﻿planning stations, ground control mission-planning systems, and support equipment. FAdeA has been negotiating with the cash-strapped Argentinean defense ministry for around a year, and revealed the contract in December, before its ratification on February 23. The deal includes a payment of half the amount now and the remainder when the three aircraft are delivered. The original IA-63 Pampa was developed in the 1980s with assistance from Dornier. In 2005, the cockpit was upgraded to create the Pampa II, while the Pampa III is a development with new Honeywell TFE731-40-2N engine and a “glass” cockpit. The trainer version has been designed with a datalink support virtual embedded training capability, and a helmet-mounted display is an option. The first Pampa III performed its maiden flight on Sept. 28, 2015, while the first production machine was rolled out at Córdoba on June 29 last year. The Argentinean contract is welcome news to FAdeA, which has struggled to keep the program going due to delays in receiving orders from the government, and has faced the threat of reorganization. The initial contract for three is expected to be followed by further buys by the Fuerza Aérea Argentina, which has a requirement for 40. If purchased, 18 of them are expected to be Pampa III trainers, while the remaining 22 might be of the Pampa GT light attack version, in which Argentina has expressed some interest. FAdeA briefed on the Pampa III at the 2013 Paris Air Show, and has made attempts to sell the aircraft overseas as a means of recouping the company’s investment in the program. As well as engaging with potential South American customers, such as Bolivia, Paraguay and Uruguay, FAdeA has sought an international partner. There have been talks for some time with Germany’s Grob, which showed interest in offering the Pampa III (under the name Wolf) as part of an overall training package with its G120TP basic trainer. Media reports from Argentina surfaced in October last year that suggested that FAdeA was in talks with the South African Paramount Group, which was rumored to want six Pampa IIIs, either for resale to one of its customers, or for use at Paramount’s own defense-related aviation academy that currently employs ex-South African Air Force Atlas Impala trainers.